It’s Almost Time for Touch a Truck! 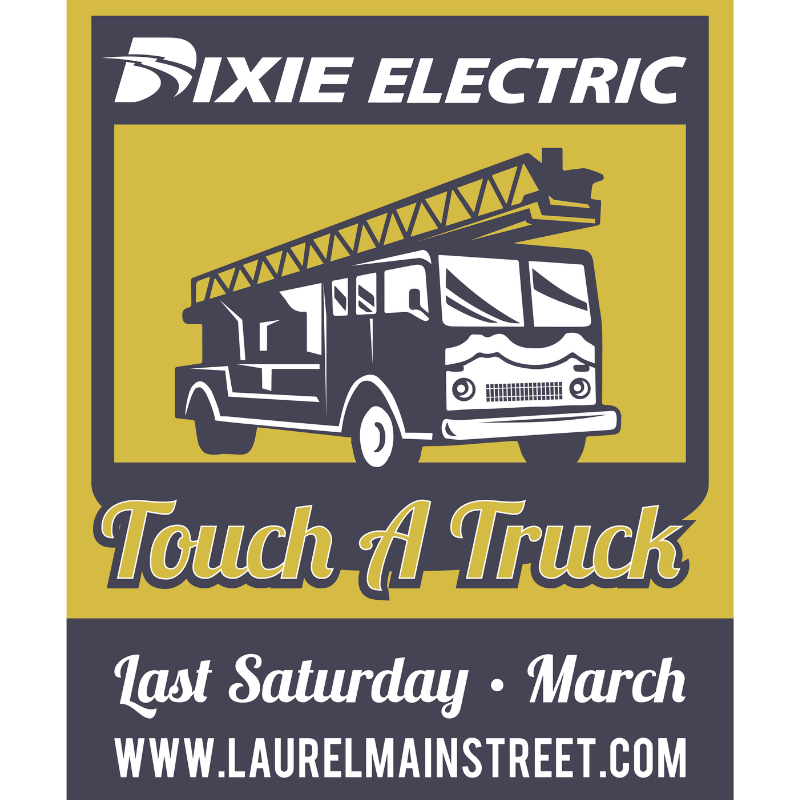 The 6th annual Touch a Truck event will be on Saturday, March 30 from 9am – 2pm in the parking lot beside the Laurel Jones County Library. Touch a Truck is a fun, family event that offers hands-on opportunities for children (and children-at-heart) to EXPLORE, CLIMB and TOUCH trucks, emergency response vehicles, heavy machinery and other equipment. Kids have the opportunity to get behind the wheel and rub elbows with their hometown heroes, while exploring their favorite vehicles including big rigs, fire engines, police cars, construction trucks, tractors and much more. So put your imagination in gear and go! We understand that some like it loud and others don’t. That’s why we’ll have two opportunities for those with sensitive hearing to enjoy this event. We will observe no horn hour from 10am – 11am and from 1pm – 2pm. This is an outdoor event, so dress accordingly and be prepared to climb! For the safety of our guests and our furry friends, pets are not allowed at Touch a Truck. Tickets are $5 each at the event. Family 4-pack tickets can be purchased in advance for $15. Children 2 and under are FREE. We are thrilled to add high-flying fun to our event this year with hot air balloon rides! The hot air balloon will be stationed in the green space just off I-59 on the corner of Leontyne Price Blvd. Start your adventure and pay admission here, then truck on down the road to the big event! 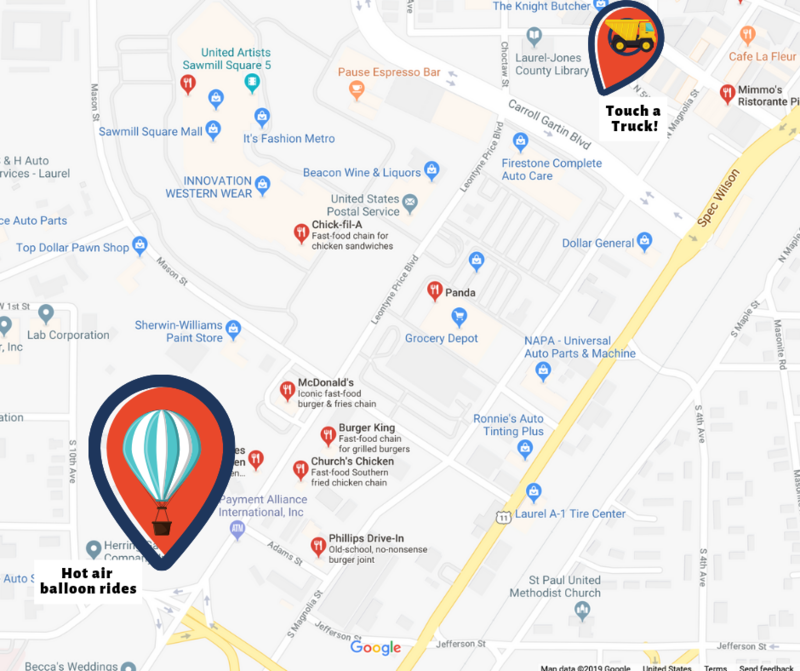 While Touch a Truck is a rain or shine event, hot air balloon rides will only be available if weather conditions permit. As always, the safety of our attendees is our top priority. Touch a Truck – Sponsors & Exhibitors Wanted! Touch a Truck provides a unique opportunity for children to explore vehicles of all types – public service, emergency, utility, construction, transportation, delivery and “fun & flashy” trucks – all in one place. Personnel will tell about the equipment and allow “hands on” exploration. Be a Touch A Truck Exhibitor! Show off your trucks or equipment and engage your business in the community! Be a Touch a Truck exhibitor! We have had four amazing years of Touch a Truck and we can’t wait or this loud, energetic horsepower-filled event. It’s a time to showcase vehicles that are tough and tactical, fun and flashy, and represent our heroes and helpers. This event is a wonderful way to build community and to show kids the people and machines that work hard. We need trucks, ATV’s, etc. (branded for fun or sport), cars, boats, emergency vehicles and rigs of every shape and size. That sense of wonder and respect that lights up a child’s face when they see something incredible will make your day and make you proud of the work you do, too. We strongly encourage promotional materials appropriate for children, such as banners, stickers and giveaways. If applicable, tickets to the event (for company employees, guests, etc.) will be provided before the event. 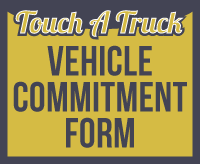 The Touch a Truck® Exhibitor Form, Payment, Letter of Agreement and Certificate of Liability Insurance must be received prior to the event in order to participate. 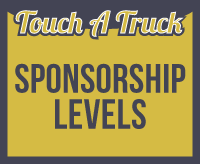 Be a Touch A Truck Sponsor! If you don’t have a vehicle that your company can show off but you want to contribute to the success of this great event, you can join the fun as an event sponsor! 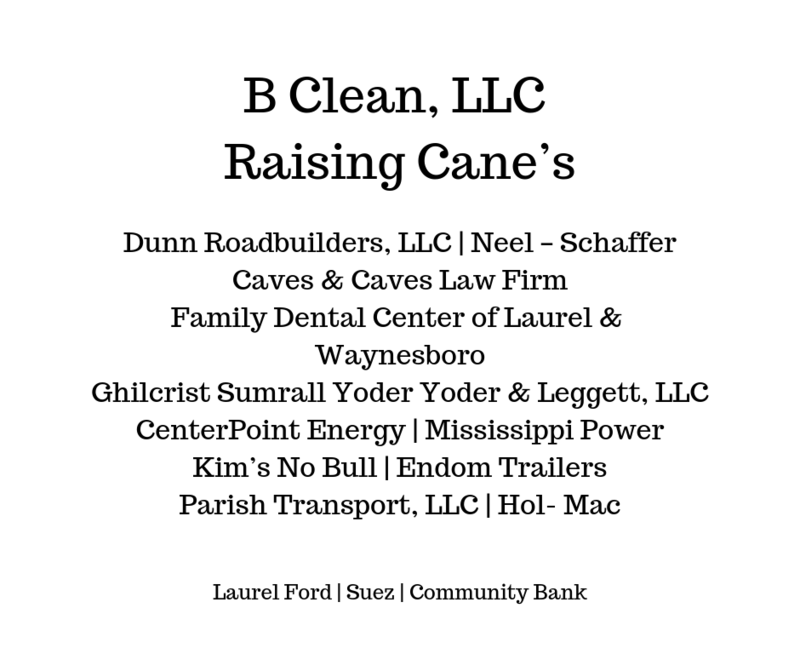 This Laurel Main Street event is promoted to families in the Pine Belt area. With a large turnout expected, the event promises to provide great exposure for your business. Your support will help us continue to show our love for Laurel’s downtown. Sponsorships allow us to produce high quality events and the ability to promote these events to a wide audience. One of the tools Laurel Main Street uses to move us towards our vision of a vibrant and sustainable Downtown Laurel is beautification. In years past, we have made Laurel more welcoming with direction signage, murals, paint, plants and lighting. Sponsors and exhibitors will not only contribute to a fun and educational event, but will also help to support the projects and initiatives of Laurel Main Street. Sponsors may bring banners, signage, decorations and giveaways to promote their business! Thank You for a Record-Setting Chili Cook Off! Brutal wind in the early morning hours didn’t keep the crowds away from the 8th Annual Magnolia State Bank Chili Cook Off. In fact, this year’s chili cook off set a new record! We had a record number of teams to enter this year, which brought record-breaking crowds downtown! The clouds and wind that plagued our teams during setup gave way to a beautiful blue-skied day and gave folks the perfect reason to get out of the house and get downtown! Welcome to the Winner’s Circle! Pictured: Team Free Chili Team Captain: Andrew Cardwell. Jim Rasberry. Dustin Cooke. Peter Biglane. Nick Roll. Pictured: Terry Powell, Heather Brown, Lew Yoder, Mayor Johnny Magee, Dorthy Stancill, Vanessa Jefcoat, Vickie Hatfield, and Dana Blackledge. Pictured: Team Captain: Richard Williams. Tammy Williams. Kyle Kramer. Keri Kramer. Pictured: Heather Brown, Magnolia State Bank. Mayor Johnny Magee. Lee Yoder, LMS President. Kim and Blaine Holifield. Jeff and Tiva Barrett. Pictured: Team Captain, Pete Blakeney. Dewayne Rayner. Jason Roberts. Pictured: Russ Griffin. Adam Sauls. Hoss Nasajpour. Paul Read. Carl Buchanan. It took a village of people to make this event a success and we couldn’t have done it without them! Special thanks to our event chair, Robby Scruggs, for his work in making this event such a success each year. Robby, and his wife, Angie, open studio5fifty for Laurel Main Street many times each year. Their staff is always courteous and helpful and we simply can’t thank them enough! Laurel Main Street board members – for the countless hours you put into making each endeavor we undertake a successful one. Chili Cook Off Judges – for selflessly giving of your time and taste buds in the name of chili. Laurel Fire Department & Laurel Police Department – for keeping our volunteers and attendees safe, for being on call, and for going above and beyond your duties. The City of Laurel Parks and Recreation Department – for your assistance in preparing the downtown area for the influx of visitors. Carl and Mandy Buchanan – for the beautiful pottery that we awarded and for the “bottomless” bowls that we look forward to adding to our collection each year. Jim Thornhill – DJ extraordinaire – thank you for keeping the tunes going and making the atmosphere so fun! Diamond Productions – you guys are top notch! 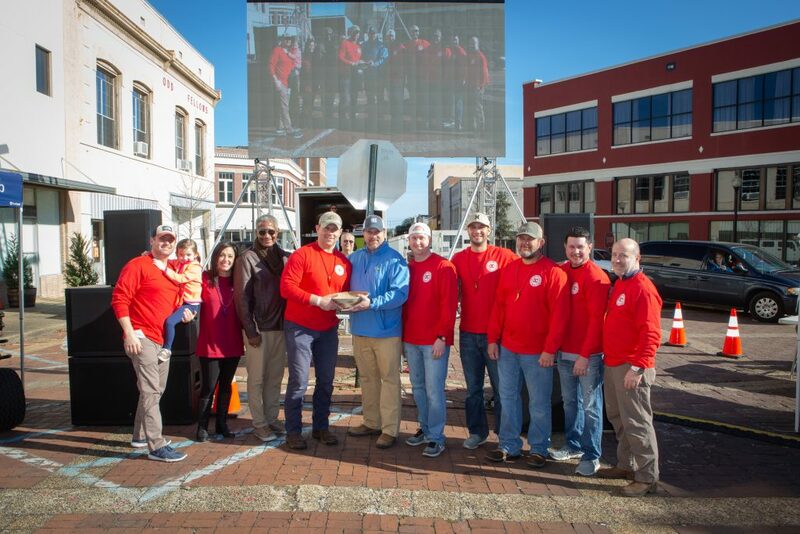 The video screen and live footage during the chili cook off elevated this event beyond our expectations and we can’t wait to work with you again at Crawfest in April! Community Volunteers – for the hours of service you provide selling tickets and t-shirts and all you do to make Laurel Main Street events run smoothly. Of course, this event wouldn’t be possible without the generous support of Magnolia State Bank. 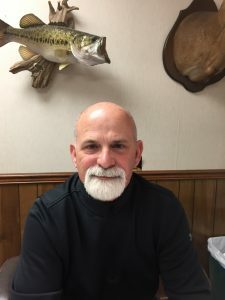 Not only do they sponsor this event each year, but the bank staff also volunteers countless hours in preparation for the event and on the day of the event as well. This year, Central Creativity opened their facility to host indoor kids’ educational and creative activities too. We are so grateful for your partnership! Our main street volunteers don’t get to rest on their laurels now; they’re rolling on to our next big event, Touch A Truck! Save the date for this wonderful family event — March 30, 2019. 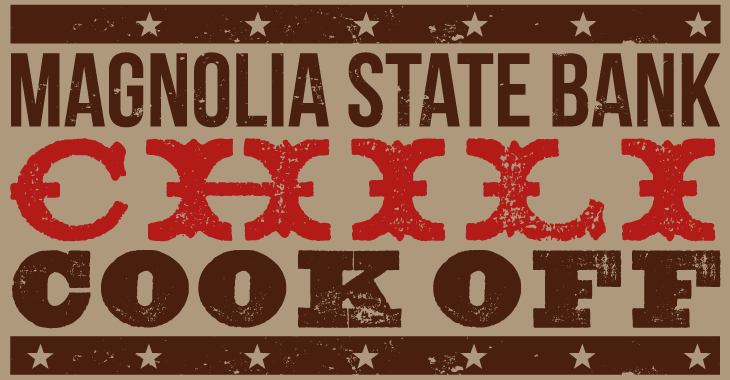 It’s Time for the 8th Annual Magnolia State Bank Chili Cook Off! 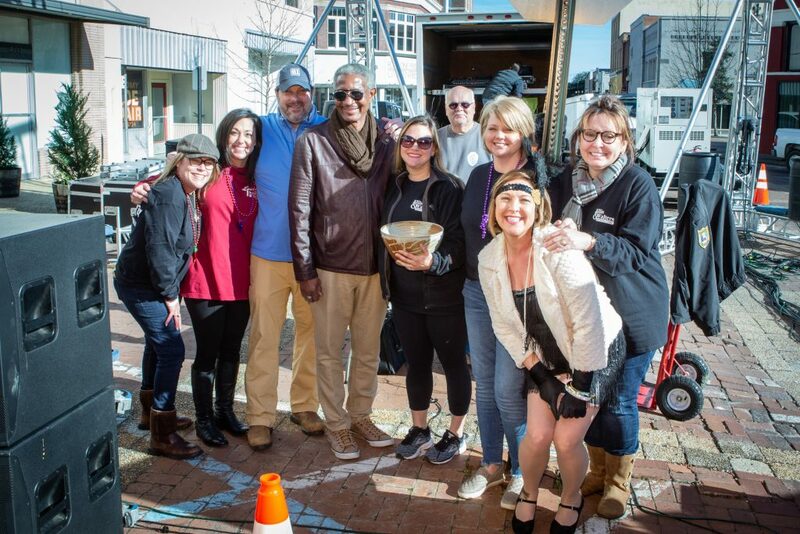 On Saturday, February 9, 2019, Downtown Laurel will once again welcome over 3,000 hungry customers and 23 competition teams with their top secret chili recipes. 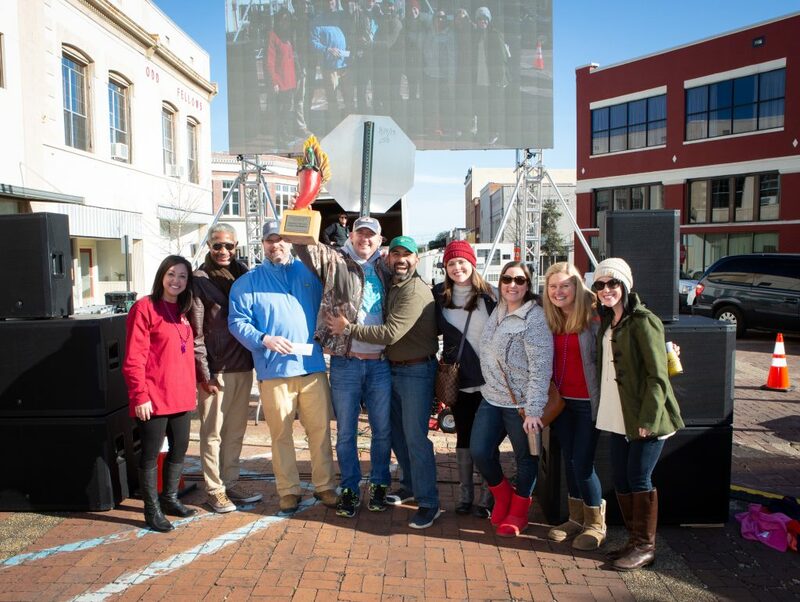 The annual Magnolia State Bank Chili Cook Off is one of Laurel Main Street’s most popular events each year. At 6:00 a.m. the teams will begin setting up and decorating their booths along Central Avenue. Teams are given one hour to set up and decorate before the real work begins. Come early to watch the teams chop and dice their way to victory! All of the teams will prepare their recipes from scratch as attendees look on, mouths watering with anticipation. The event officially begins at 11:00 a.m.
For just $10, you can enjoy an “all-you-can-eat” tasting bowl. For $25, enjoy a “bottomless” Carl Buchanan keepsake pottery bowl. These special bowls always sell out, so if you have your heart set on taking one home, be sure to get there early! Our expert panel of judges will taste each entry and decide who wins the $1,000 prize in each category. Who are these experts you ask? 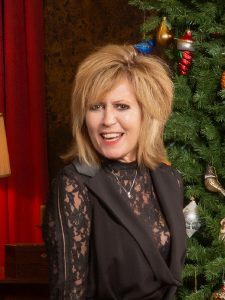 Sherri Marengo is a DJ and community relations director for iHeart Radio in Hattiesburg on SL-100 and 1037-WFFX, she is also a DJ weekends on 95KSJ in Mobile, AL and the host of Homegrown Country on K99 in Biloxi on Sunday nights. 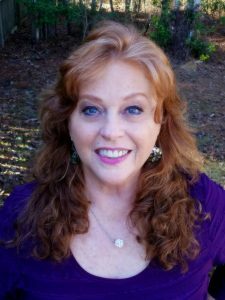 Currently the president of Just Over the Rainbow Theatre, Sherri is an actor, director, stage manager, kid wrangler and technical director for local theater groups, and Vice-chair of Community Theatre on the board of directors of Mississippi Theater Association. She stays busy in the community volunteering her time and experience to help groups like Habitat for Humanity and The Petal Jaycees among others. She and her husband Charlie, married 37 years, still live within walking distance of Panther Stadium and are members of Petal Harvey Baptist Church. They are parents to three grown children and 5 grandkids ages, 4 to 22. Watch for her brand new podcast in the spring on iHeart Radio. Orleans, Hilton Head, Jekyll Island, and Atlanta. She continued her career in the hospitality industry, consulting and managing restaurants and hotels throughout the country. She has travelled abroad extensively and worked with “The Apple Club” in Italy for over a year. Roxanne resides in Laurel and studies under renowned Chef John Diggetts at The Loft on Central. 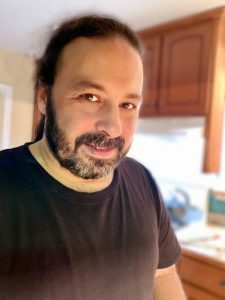 Andy MacDonald is an award-winning journalist working as Cuisine Editor for Lagniappe, a weekly newspaper out of Mobile, AL. He is the founding member of the bluegrass band Fat Man Squeeze and owner of Picker’s Paradise, a guitar store in the Mobile area, where he spends most of his time teaching and repairing instruments. Whatever is left of him goes to his three kids, Lucas, Graham and Henry and wife Katie. At the end of this year’s event, we will draw the winner in our “split the pot raffle.” Tickets for the raffle are $10 per ticket or $40 for 5 tickets and can be purchased at Magnolia State Bank, from LMS members, or at the event. Central Creativity is graciously opening their doors and offering educational children’s activities during the Chili Cook Off. Central Creativity is located on the corner of 6th Avenue and Sawmill Road, and is about a one-minute walk from the downtown festivities. For $5 per child, your kids can enjoy a day of hands-on experiments and take-home projects while you enjoy unlimited chili! Magnolia State Bank will also offer a free hotdogs to children at the chili cook off who do not wish to eat chili. Thank you to our incredible Sponsors and Producers! 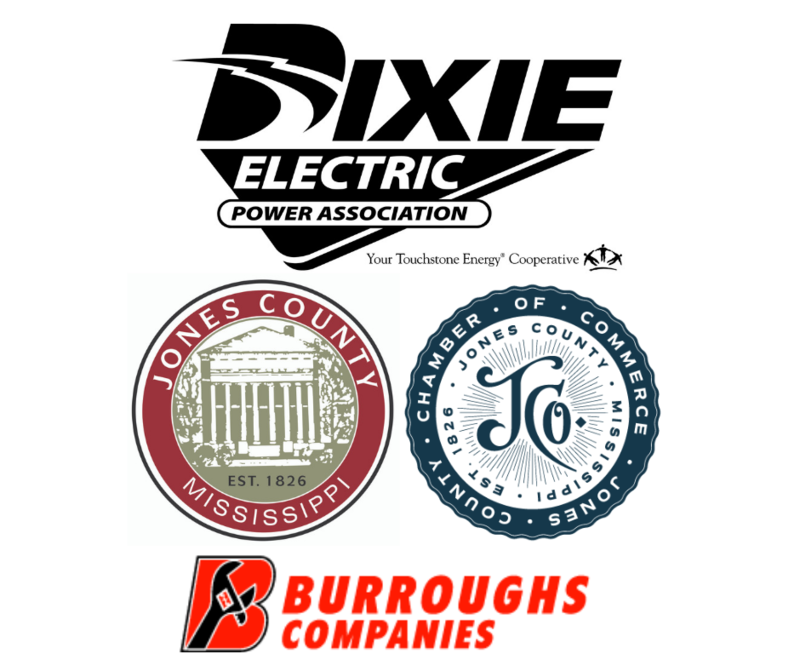 Events like the Chili Cook Off just wouldn’t be possible without the support and backing of local businesses. These sponsorships help pay for the prizes, supplies and more! Their donations also help fund the Laurel Main Street Facade & Amenities grant and are directly responsible for the improvements you see in Downtown Laurel. 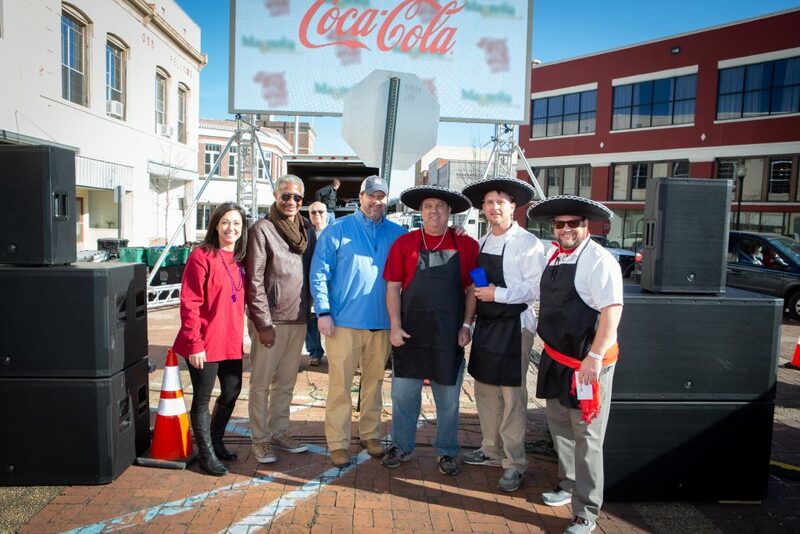 The Chili Cook Off’s signature sponsor is Magnolia State Bank. We are so thankful for the financial support and helping hands they provide every year to make this event a successful one. Event producers provide in-kind support of the event by providing products, services or advertising to make the event a reality. Thank you to WBBN B95 Country, iHeart Radio and SL100, WDAM, and Studio5Fifty for helping to organize the event and to Central Creativity for providing the children’s activities. 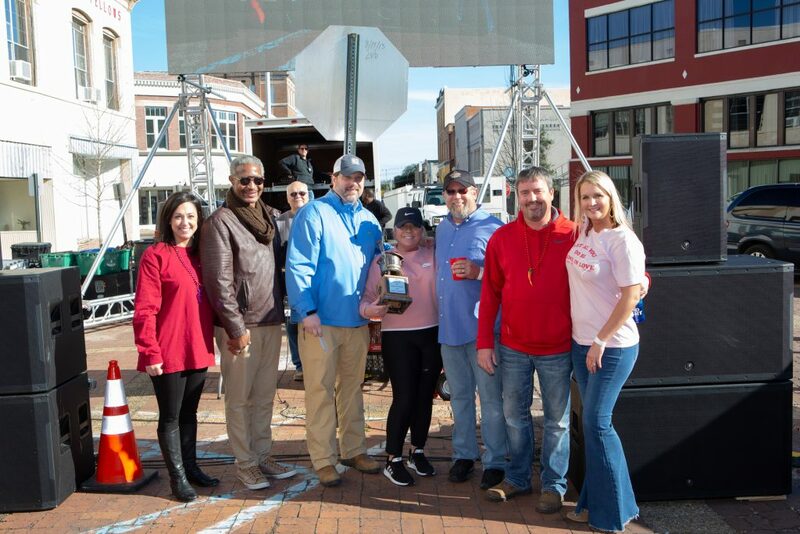 Join us February 9, 2019 in Downtown Laurel for the 8th Annual Magnolia State Bank Chili Cook Off! For centuries, Main Streets have been the cultural, historic, economic, civic, and emotional hearts of our towns and cities. We’re proud to be part of the movement that brings these things back to life in Laurel! The Main Street organization was founded upon the principle that sustainable, comprehensive transformation of a downtown or commercial district doesn’t happen overnight or with one “big fix.” Laurel Main Street has been at work since 2007 to preserve our historic buildings while revitalizing our local economy. However, the goal of our work goes much deeper than simply creating a beautiful downtown district with businesses and activities to enjoy… We want to provide a solid sense of ownership in the downtown and core commercial district. Since its inception, Laurel Main Street has been recruiting business owners and private investors to the downtown area. Because of those efforts, our downtown has seen a private re-investment of over $40 MILLION dollars. 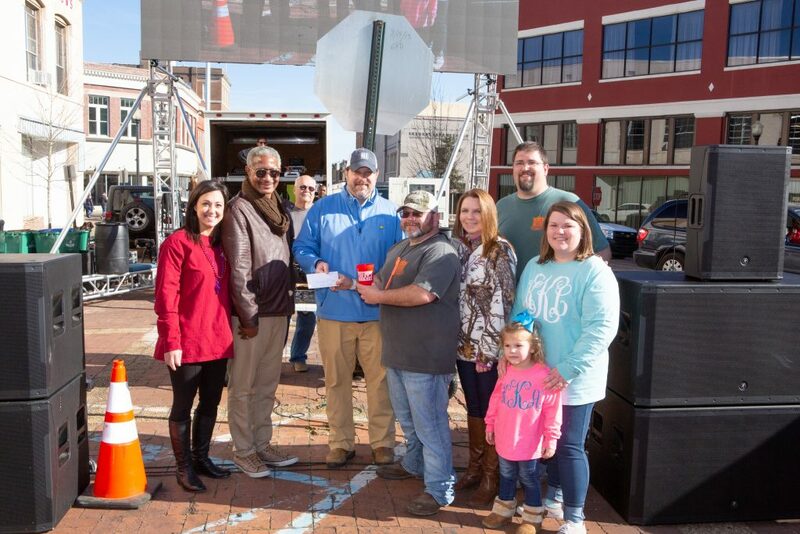 When you attend or are an exhibitor at Laurel Main Street events, such as Loblolly Festival or Touch a Truck, you’re directly contributing to the LMS Façade and Amenities Grant fund. In the past 36 months, Laurel Main Street has awarded $54,556.94 in façade grants to downtown businesses. The LMS Façade & Amenities grant was created to help downtown business owners refresh and update their buildings. There have been 19 façade improvements in downtown Laurel in the past two years. That’s almost one building a month! Some of the buildings who received a facelift thanks to a LMS Façade & Amenities grant include The Boutique on Central, Mimmo’s, The Loft on Central, and the shops at Sawmill — Quarter Century, Studio R3, Goodness Gracious, Pause Espresso Cafe, and Bella Bella. Laurel Main Street has raised over $50,000 to improve the downtown area. The projects are too numerous to list, but here are a few you might have noticed: painted murals on the Laurel-Jones County Library and the Marcus Building, the addition of 15 trash receptacles, 2 bike racks, and 4 pet waste disposal stations, as well as the string lights above the streets. Through partnerships with MDOT and The City of Laurel, Laurel Main Street was able to add way finding signage downtown to make it more tourist-friendly and walkable. Thanks to many generous donations to Laurel Main Street, we have been able to clean up and repurpose Trustmark Park into Trustmark Art Park for children and families to enjoy. We have also assisted in the transformation of the Oak Street Pocket Park into a lovely spot for eating lunch, taking an outdoor break, or just walking through to get downtown! In 2017, Laurel Main Street proposed a Social District Ordinance that would allow patrons to sip & stroll through the streets of downtown Laurel. We appreciate the Mississippi legislature and The City of Laurel for this ordinance. The adoption of the Social District Ordinance has increased shopping, dining, and the overall enjoyment of downtown. We’re more than family fun and festivals. The Main Street movement is the leading voice for economic development and community revitalization of historic districts across the country. Since 2009, Laurel Main Street has racked up 19 Mississippi Main Street Association Downtown Revitalization awards! Did you know that Laurel Main Street has been awarded the Best Adaptive Re-use Project by MMSA three times? The rehabilitation and reuse of the First National Bank Building, Slowboat Brewing Co., and The Burton Building are shining examples of what the Main Street initiative is all about! Small-scale development and adaptive reuse go hand-in-hand. The creative and curated nature of small-scale developments allows seemingly “unusable” buildings to be repurposed into unique places with entirely new formats that bring unique focus to neighborhoods and add new value. 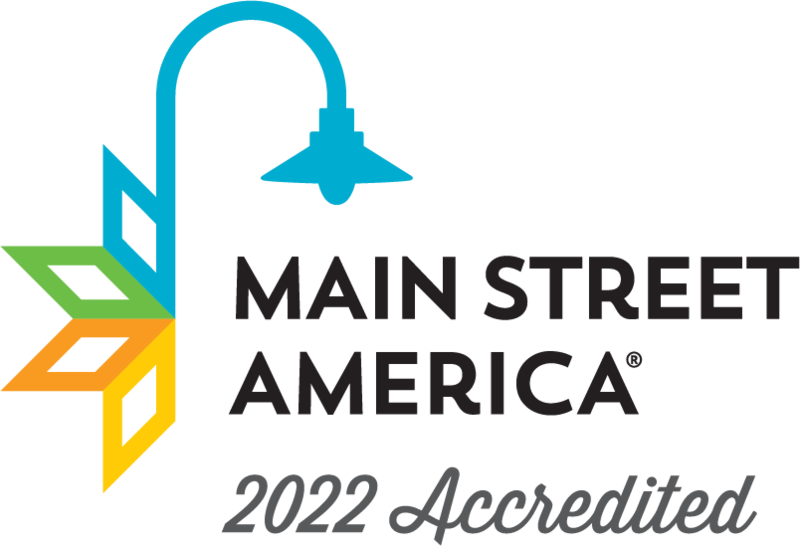 Laurel Main Street has also been recognized by the MMSA for outstanding capital campaigns, public improvement projects, business retention and recruitment, and overall community transformation, just to name a few! We are always thankful for the gifts we receive through the generosity of our community. Leadership Jones County and Future Leaders of Jones County participants have contributed to our downtown in so many meaningful ways! Thank you for the picnic tables, garbage cans, Imagination Playground, and the beautiful mural at Central Creativity! The Main Street movement grew out of a recognition that a community is only as strong as its core. This approach has proven over and over again that a small number of committed people can make a big difference in a community. As we look forward to the new year, we are filled with excitement over the things to come. We want you to know that we hear you loud and clear: you want MORE live music, MORE restaurants, and MORE things to do downtown and it’s our goal to continue recruiting reputable business owners who can deliver what you want. After all, Laurel Main Street succeeds when small business owners succeed. The future belongs to downtowns! GET FREE updates about downtown events, new businesses and great resources, right here in Laurel, MS! "Get involved. The best way to restore downtown Laurel is to simply participate. Meet your neighbors. Make your storefront inviting. Bring your family to downtown events. 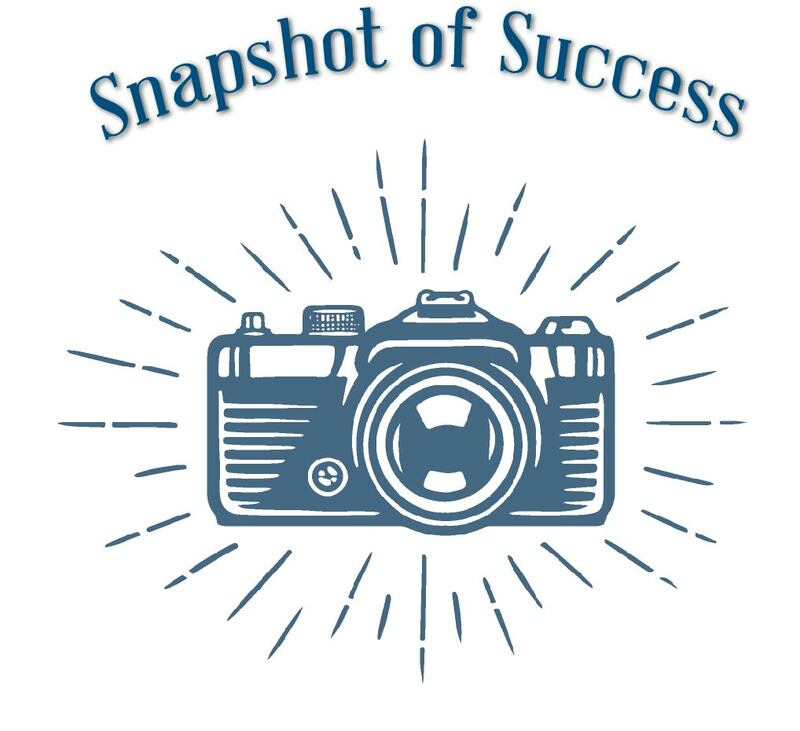 Feed social media with exciting information and photos. Share your love for Laurel!" - Lott Furniture Co.